Mae'r offer diweddaraf wedi cyrraedd ar gyfer y cwrs adeiladu haf, rhai cynion mwy cadarnach, slicks fframio ac mae'n argoeli'n llygad Scotch. Mae rhai o'r offer hyn yn cael eu darparu ar gyfer y nifer cynyddol o fyfyrwyr yn awr archebu ar y cwrs, we have been fully booked but due to a couple of people filling in the booking for and then pulling out for one reason or another we still have one place open on the full course and five places left on the July straw bale building course. 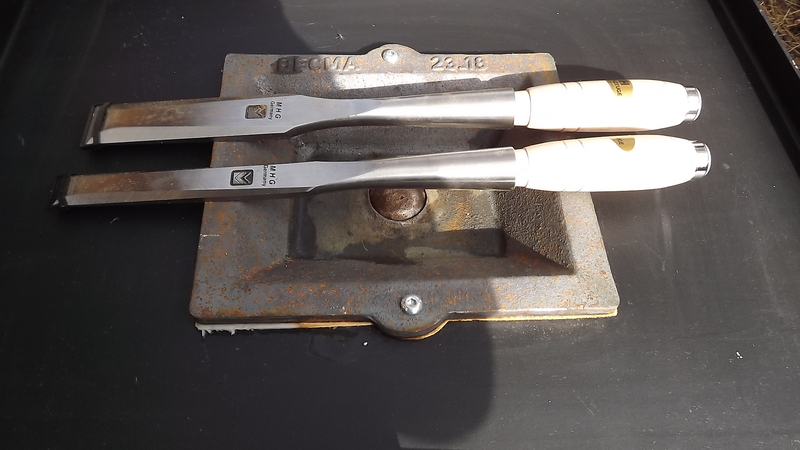 Two more MHG firmer chisels a one inch and a one and half inch to go with the two inch chisel purchased earlier. 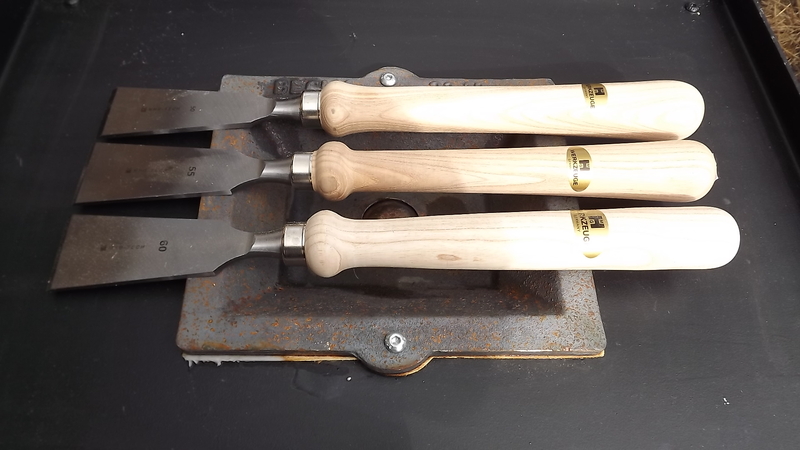 A set of three framing slicks again from MHG these are hand tools not intended to be hit with a mallet, instead used more like a hand plane the massive handles allow the user to put their body weight behind the tools if necessary. Students will learn how to put a razor sharp edge on all of the tools which will make a good finish of the tool easy to achieve and reduce the force needed to remove wood efficiently. 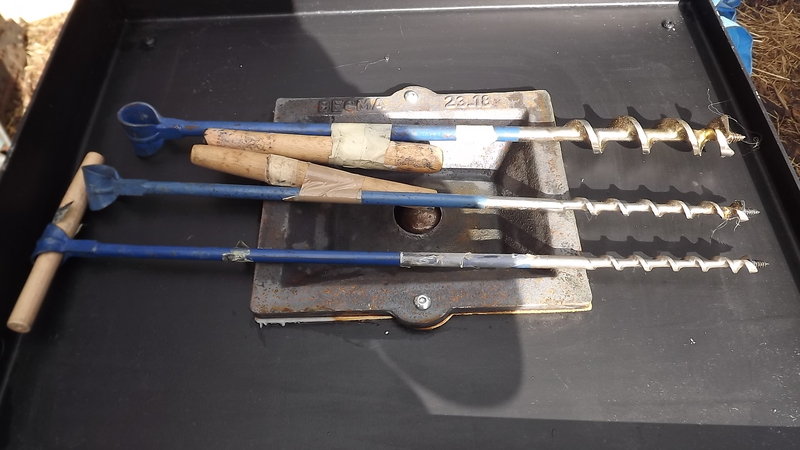 These three scotch eye augers are new but old stock purchased from a German supplier on Ebay this has saved me quite a bit of money as newly manufactured augers are expansive so these a a good result. They will compliment the use of some of my other drilling tools I’ve been collecting over the last few years. these will be used to drill holes for inserting pegs to keep the timber frame buildings together in the absence of modern fixings. A few more tools on order to complete the set I will post later.